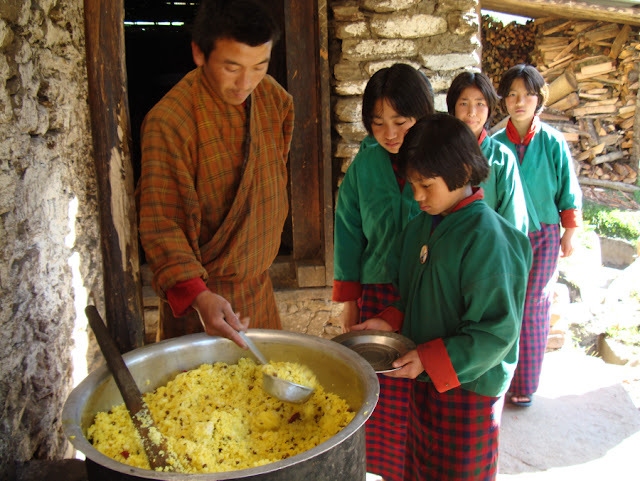 Several aspects match other photos of the WFP's page about their work in Bhutan. The rice dish is most likely colored with turmeric. It would probably be called a pulao. I couldn't find a specific dish that matches. The man is definitely wearing the Bhutanese national costume.